The Peugeot Expert is a medium size van produced as a joint venture between Fiat, Peugeot and Citroen and sold by all three manufacturers under different names. Production of the Peugeot Expert began in 1995. The new van proved an immediate success as it represented a major improvement over most other models on the market in the mid-nineties. For the first time a medium size van combined good road holding and drivability with a generous load compartment, compact overall dimensions and attractive styling. The success of the first version was repeated in 2007 when the second series was launched. Completely renewed, this version featured a squarer and larger load compartment than the first series. The third series was introduced in 2016 and features an exclusive Peugeot modular chassis though the styling has remained substantially similar to the second series. 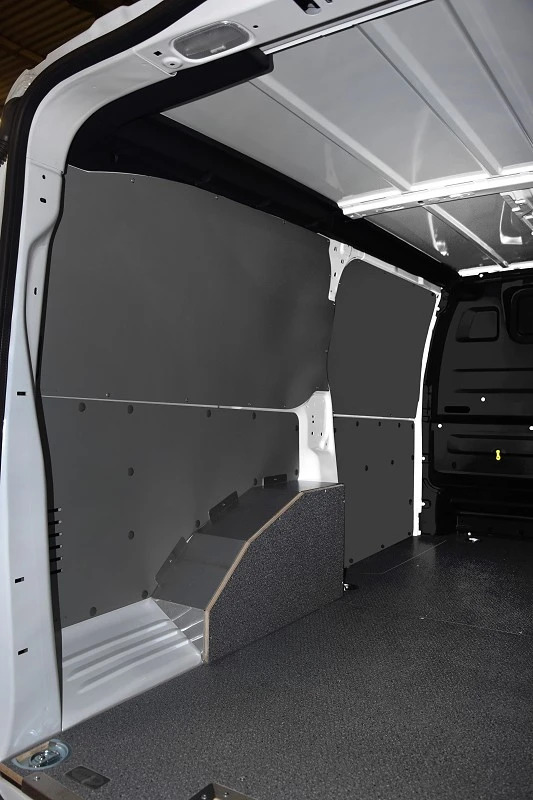 The Syncro Group has been supplying van liners and racking systems since 1996, and has been producing, marketing and installing all kinds of interior linings for the Expert ever since. 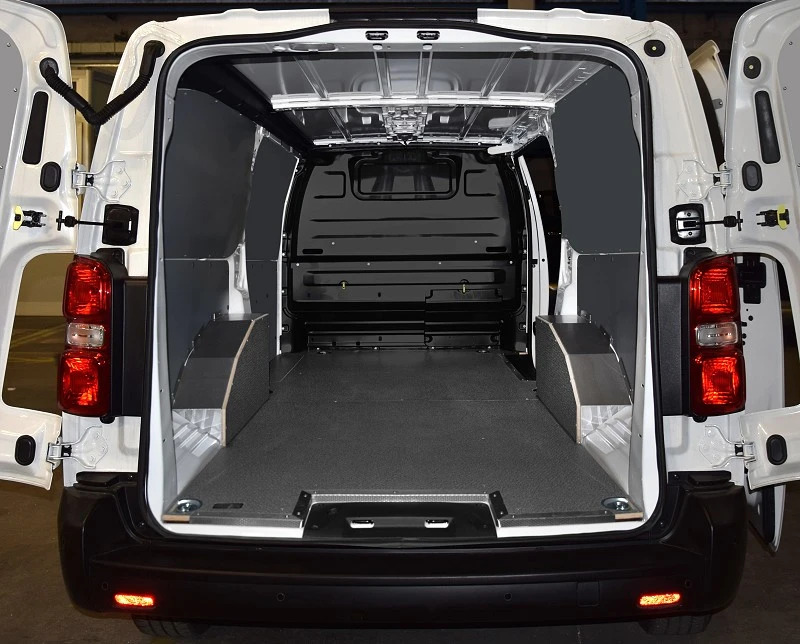 The Syncro range includes beautifully practical load compartment floor liners in plywood and aluminium. 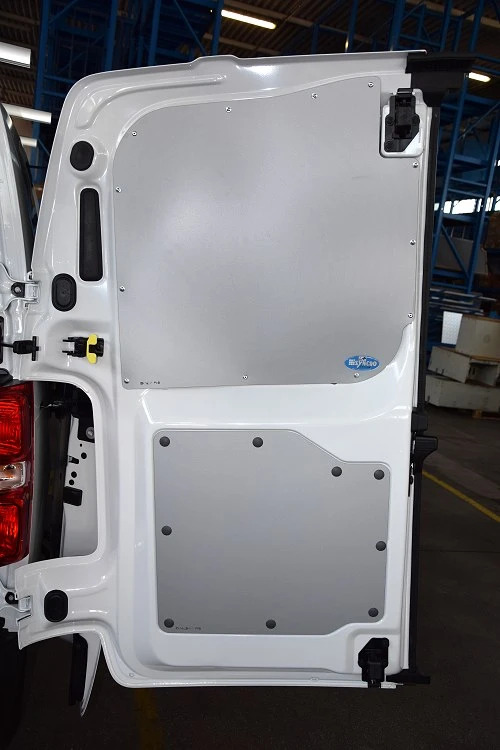 As with all vans, the original floor is not particularly robust, and can easily be dented or deformed by falling cargo or protruding parts. 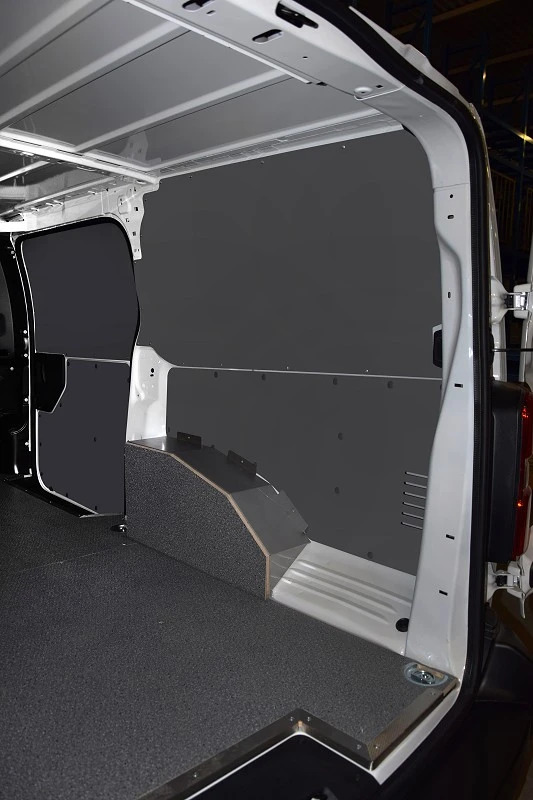 Syncro’s wall liners for the Expert prevent damage to the van’s bodywork caused by shifting or falling cargo impacting the body panels when the van is on the road. Installation times are extremely short, as all Syncro liners for the Expert come cut to size and pre-drilled. 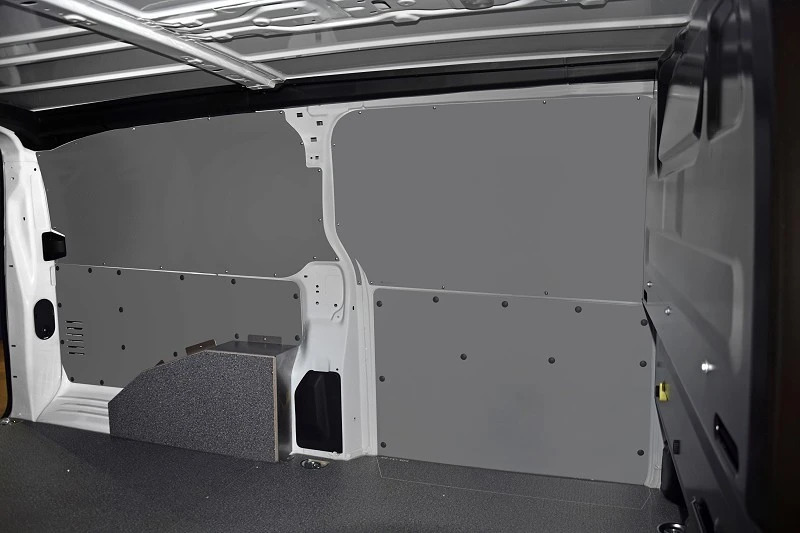 Since, like all vans, the Expert comes without proper protection for the load compartment, Syncro’s floor and body liners can save users a great deal of unnecessary expense for bodywork repairs and help preserve the van’s re-sale value too. 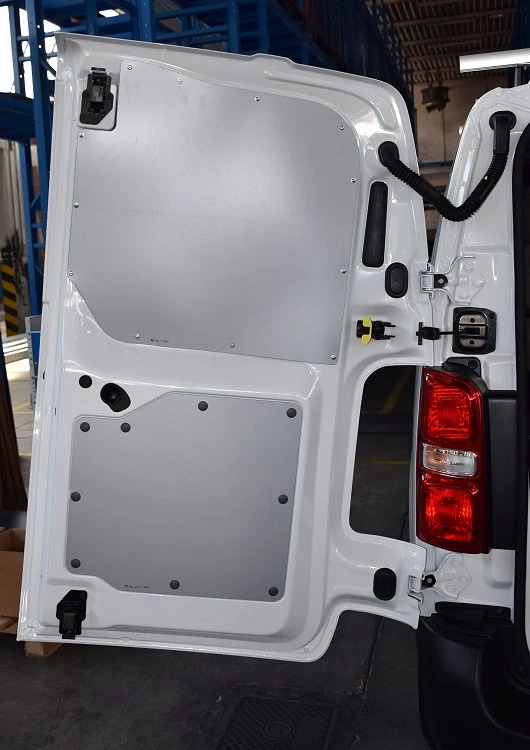 The raw materials Syncro uses for its floor, wall, door and bulkhead liners and wheel arch covers are extremely tough, long lasting and lightweight. Resinated plywood, aluminium and painted steel sheet are all used.